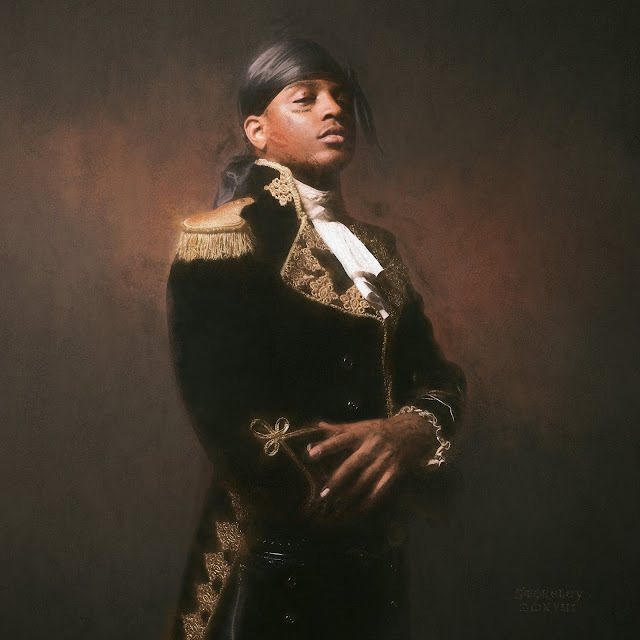 SKI MASK THE SLUMP GOD drops his highly anticipated full-length debut album, Stokeley [Victor Victor/Republic Records]. Get it HERE. Upon going live, it claimed a spot in the Top 10 Apple Music Hip-Hop/R&B Albums Chart. The record showcases SKI MASK THE SLUMP GOD at his most powerful and personal. Utilizing his legal name Stokeley as its title, the music represents the artist at his rawest and realest. On one end of the spectrum, “Nuketown” explodes with atomic intensity, blasting one lyrical salvo after another. On the other end of the spectrum, “Save Me Pt. 2” highlights a vulnerable falsetto and stunning vocal range as he admits “Got some habits, I can’t kick ‘em.” Elsewhere, “U And I” sees him open up before going straight for the jugular with a rapid-fire flow on the verbally dexterous “Cat Piss.” Once again, he proves to be hip-hop’s most disruptive, dangerous, and dynamic force. In other big news, his breakout singles “Catch Me Outside”, “Take A Step Back” and “Baby Wipe” just achieved gold certifications from the RIAA, cementing his status among the modern hip-hop vanguard. Averaging over 4 million streams per week on Soundcloud and 5 million monthly listeners on Spotify, SKI MASK THE SLUMP GOD has quickly become an inescapable and influential hip-hop force. This summer he released “Beware The Book of Eli” which includes lead singles “DoIhaveTheSause?” and “Coolest Monkey In The Jungle”. In 2017 he released You Will Regret (Reloaded) which boasts three anthems that each cracked 40 million Spotify streams, namely “BabyWipe,” “Take A Step Back,” and “Catch Me Outside.” Applauded by Complex, Pigeons & Planes, HotNewHipHop, XXL, and many more, he remains both a critical and fan favorite.